Of all my years at KONAMI, I think the biggest request I’ve received by volume is Suikoden II. The “little RPG that could” released in North America in 1999 with a now infamous few units produced. Prices of the title have surged in recent years as fans and would-be fans have had tremendous difficulty securing a copy of the venerated title. It is then with great joy that I am able to announce that *deep breath* Suikoden II is coming to PlayStation Network as a PS one Classic in North America for the first time on December 9th. The second entry of the series follows as a continuation of the story set in City-States of Jowston, where social unrest has led to a military uprising against the oppressive Highland Kingdom Military led by Prince Luca Blight. Players take on the role of Riou; a youth swept up in the politics and fighting that threatens to burn the countryside asunder. With his comrades Jowy and Nanami, Riou is tasked to recruit the 108 Stars of Destiny, heroes to stand by his side. Featuring three different battle types, mini-games and multiple endings, as well as a massive branching storyline, it’s no wonder it has earned such accolades as being one of IGN’s Top 10 RPG Storylines of all time. Suikoden II will be made available to fans both old and new in their original format to all thanks to both PlayStation and our passionate and dedicated fanbase. Without your constant and overwhelming support this would not have been possible. I hope that you will share your adventures with us on the official KONAMI Facebook page and I will see you in the City-States of Jowston starting December 9th, #TEIEN! Tripwire Interactive bringing Killing Floor 2 to PS4 – The Time is Right! This is the greatest news ever. This is by far the best story I ever read/watched/played in my life. Not enough words can describe how happy I am. no seriously, take it. I mean it, I’m not messing around here. I don’t want to be you if you don’t take my money. Now how about Tactics Ogre…. Yeaaaaa!!! What a great day for video games. Tons of awesome stuff was announced. @7 What about Tactics Ogre: Let Us Cling Together? The superb remake that was done a couple years ago? I guess if you only have a PS3 that doesn’t help you though. This is awesome. Will the Suikoden PSOne Save with the bonuses still work? The saves will work, however they won’t work if/when Suikoden III is added, unless Sony makes slight changes to their memory card manager. 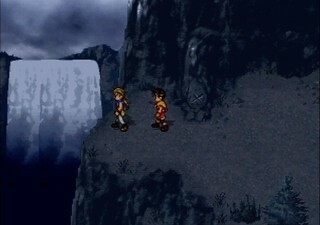 Let’s just be excited about the PS1 Suikoden duology, though. Buy it and play it, people. See the beauty. YAY! Finally! I was hoping this would get added soon since Suikoden 1 was so good. (Played it for the first time on psn, and got immediately hooked). So looking forward to this. FINALLY! THANK YOU! I’ve been waiting for this ever since I first played Suikoden 1 (which I first played as a PS1 classic I bought on PSN) a couple of years ago! Unfortunately, I probably won’t be able to get it day 1, but I should be able to get it a week after it releases. So looking forward to playing this game finally! Instant. Instant. Instant buy. yeeeeeeeAAAAAAAHHHHHH!!!!!!! Now all we need is Breath of Fire 3. Can I also play this on Vita? Suikoden II is one of the best JRPGs of all time. I love this game so much (I own an actual copy) and I’m glad that more people will be able to play this now. Just do yourself a huge favor and play through the first game if you haven’t played it before. Playing them back to back gives the best experience. Sweet! Now bring us Intelligent Qube! 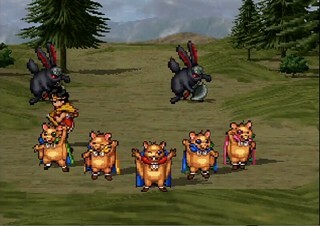 2 – Will Suikoden II be playable on Vita? 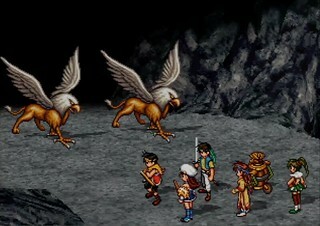 @28 They announced at the PS Experience event that both Suikoden 1 and 2 will be playable on the PSVita. Thank you. I can’t wait to finally be able to play this. Now we just need PSOne classics on PS4. Hope these work on PSTV. Finally! However, will Konami ever fix their games that don’t work on Vita and Vita TV, specifically the Hudson ones? Some of the Bomberman games don’t work on Vita, such as the Party Edition PS1 classic and some don’t work on PSTV such as Bomberman ’94. I don’t know if Konami can fix some of these issues or not, such as the latter Hudson games, but given that they own Hudson, I imagine it’s possible, and I see no reason that Konami can’t fix their own games. Thank you Konami. Hopefully it comes to the PSP as well. At this point, no excuse why PSP isn’t getting PSOne classics. But not going to complain. Thank you so much! Thank you! This alone made my day/week/month! Congrats, guy, you finally got your request after so many months. Lol. How about making these games available in Europe too? I do like PS1 Classics, I don’t think every game needs a full remaster to be enjoyed by a new generation. That being said, the current PSP-based PS1 emulator is pretty annoying. On both PS3 and Vita, non-native scaling means some artifacting and a lack of decent filtering options. On PS3/4, a semi-native emulator at 1080p would allow a clean 2x scale. It would also allow the use of additional CPU cores for better filtering options (HQ2x, 2xSaI, etc) like all the open source PS1 and PSP emulators have. Some of the Japanese-import PS1 titles *do* use a VIta-native emulator. I hope these new PS1 Classic releases continue to use PS3/4/Vita-native emulators and drop the legacy PSP-based emulator. Otherwise, people will just keep hacking their PS3/Vita to put the open source emulators on them. I need to get into this series. I hear so much about it. I really want to buy this and many other PSone classics but I won’t. I read 2 years ago that Sony had filed a patent for a way to put trophies in ps1/ ps2 games. Hopefully it will happen one day and I can finally replay the classics I love so much while also earning awesome trophies (gold trophy for getting all 108 stars of destiny in Suikoden for example hehe). Now, the only question that remains is… WHAT THE HELL TOOK SO LONG?!?!? I love Suikoden, 2 !!!!!!!!!!!!! Please bring Gaiden too !!!!!!!!!!!! 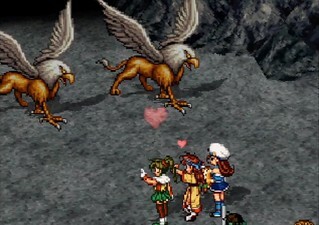 Ok, next let’s see vandal hearts 1 and 2!!! Cool, now this isn’t directed to Konami, but if Sony reads this: Give us Breath of Fire III! @MrPonuraski There, you happy? You just got lucky. Now I hope we get Breath of Fire III too. I don’t understand why some people are so into trophies. Why? I get enjoyment out of the game itself, so what is so great about trophies that anyone would pass up a great game because of a lack of trophies? And I mean this as a legitimate question. I truly just don’t get it. When I get a trophy, big deal.